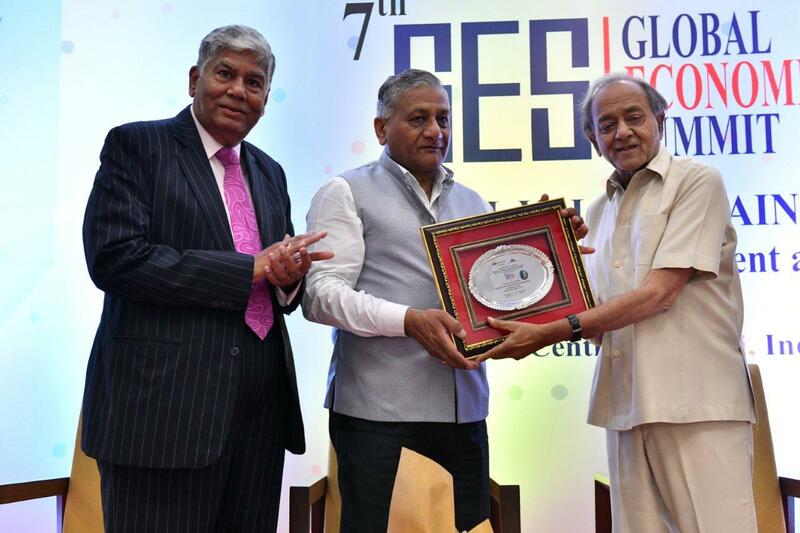 “The 7th Global Economic Summit is timely as it provides a good platform to assess the state of play with respect to Indian Micro, Small & Medium Enterprises (MSMEs) in the global value chain. In India, MSME sector has recorded an annual growth of more than 10% over the past few years. It is crucial to rationalize and simplify taxes for MSMEs as they account for almost 99% of companies filing tax returns in India,” said Gen. (Dr.) V.K. Singh (Retd. ), Hon’ble Minister of State, Ministry of External Affairs, Government of India at the 7th Global Economic Summit on ‘Global Value Chains: Accelerating MSME Growth, Development and Sustainability’ at a Summit jointly organised by World Trade Centre Mumbai and All India Association of Industries (AIAI). The 3-day Global Economic Summit (February 22-24, 2018) received overwhelming response from more than 100 business and government delegates from 30 countries and 280 delegates from India. Mr. Vijay Kalantri, President, All India Association of Industries (AIAI), Vice Chairman, World Trade Centre Mumbai and Director, WTCA Board, N.Y. proposed vote of thanks for the session. During the Session, distinguished guests released the MVIRDC WTC Mumbai Research Study ‘Accelerating Maharashtra’s Export Competitiveness’, which provides a comparative analysis of Maharashtra’s export performance vis-à-vis other states and offers actionable policy recommendations to enhance export from Maharashtra. The Session also witnessed the release of ‘India MSME Report 2017’. 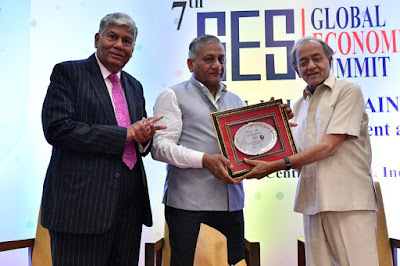 The Session also featured felicitation of reputed companies such as Mumbai International Airport Ltd –GVK, PSA Advisors and start-up enterprise Neogrowth, Global Express Multilogistics, iLoanz, Thinkph, Imaginarium for their extraordinary contribution to value chain through logistics, finance, innovation and other services. The 3-day Summit includes intellectually stimulating panel sessions, case presentations, exhibition, B2B meetings, felicitation of outstanding business organizations, knowledge workshops and field visit. On February 22, 2018, the inaugural Session of the Summit was attended by Ambassadors, Consul Generals and other top officials of government, representatives from multilateral agencies, MSMEs, corporate houses, trade promotion organizations and academic institutions.